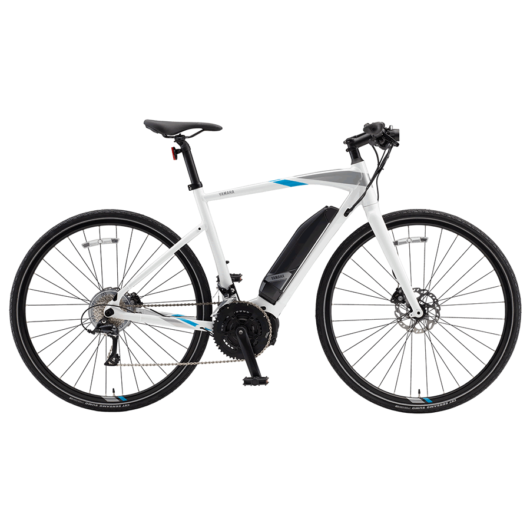 The Yamaha CrossCore electric bike combines the efficiency of a road bike, the ergonomic comfort of a flat handlebar hybrid and Yamaha’s superior power-assist technology for an unrivaled ride from a name you can trust for quality. While providing the smooth power assist expected by many e-bike users, Yamaha systems feature quicker acceleration, powerful climbing assistance and a natural-feeling amplification of your pedal strokes. Test ride the new Yamaha electric bikes at Electric Cyclery. 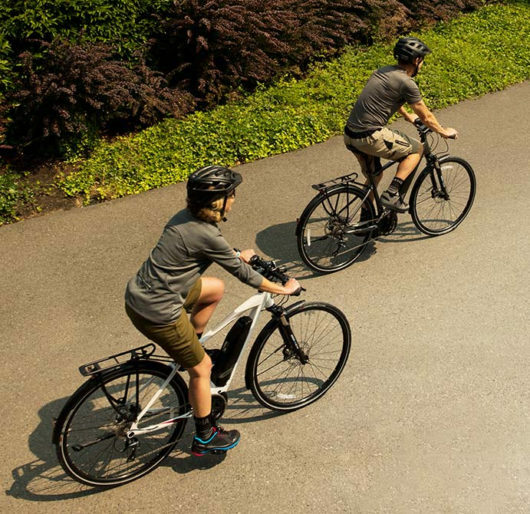 Prepare to be impressed by the quality and comfort. 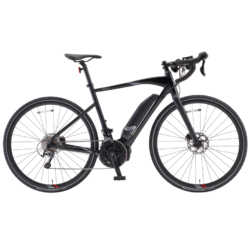 Electric Cyclery has all current Yamaha electric bikes models in stock, however it is recommended to contact Electric Cyclery to confirm color and size availability before ordering as inventory varies from day to day. Yamaha invented the world’s first electrically power assisted bicycle (the legendary PAS) in 1993. 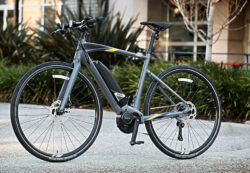 Since then Yamaha has been constantly innovating to deliver the easiest to use power assist e-bike systems available. 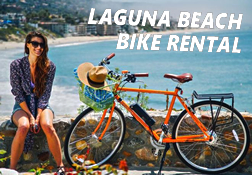 Just one ride will leave you wanting more. 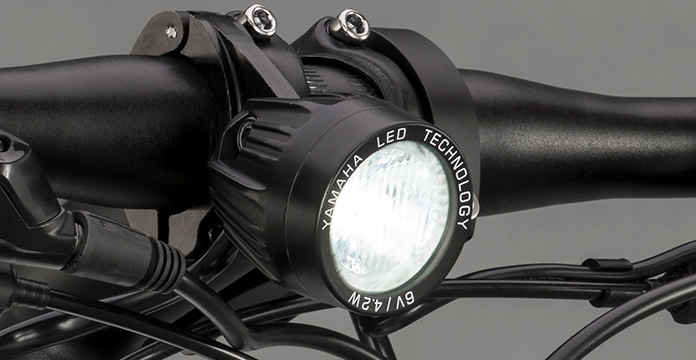 Only Yamaha provides the option to use a double front chain-ring. 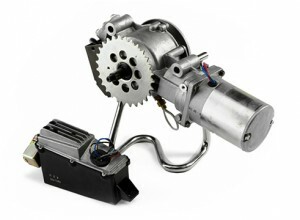 Integrated Rear Hub Speed Sensor – no spoke magnets to lose. 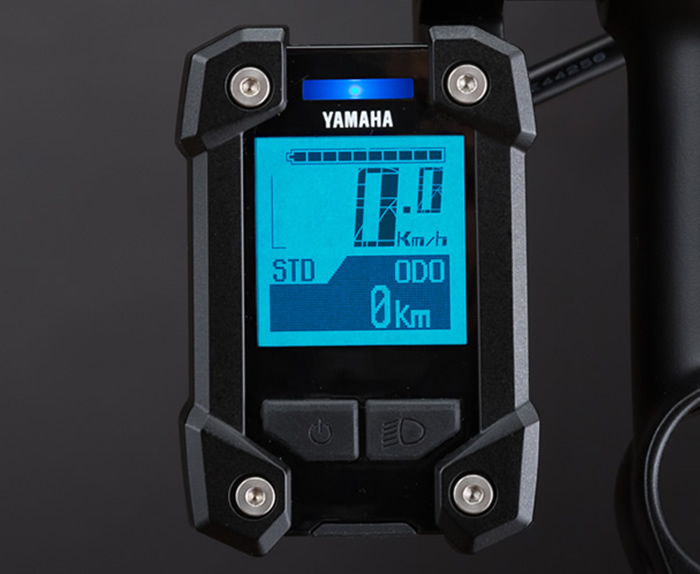 Yamaha’s patented speed sensor recognizes the slightest change in speed and adjusts motor output to deliver a seamless power assist. Three year transferable warranty – the best coverage available. 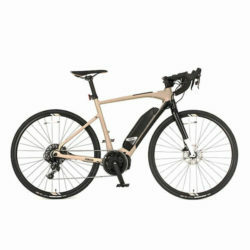 A revolutionary hybrid bicycle designed for efficiency and ergonomic comfort. Yamaha’s LCD multi-function display is compact and loaded with features. 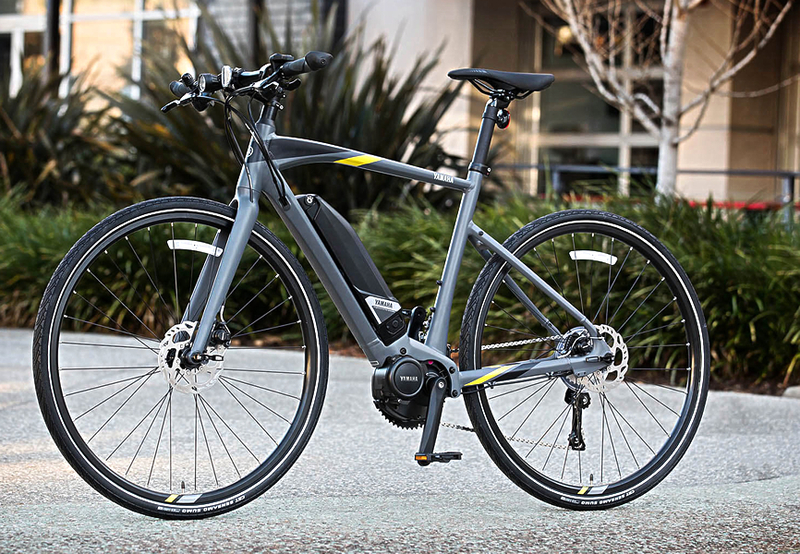 The color-coded LED assist level indicator is easy to see at a glance in street traffic or bouncing down a trail. 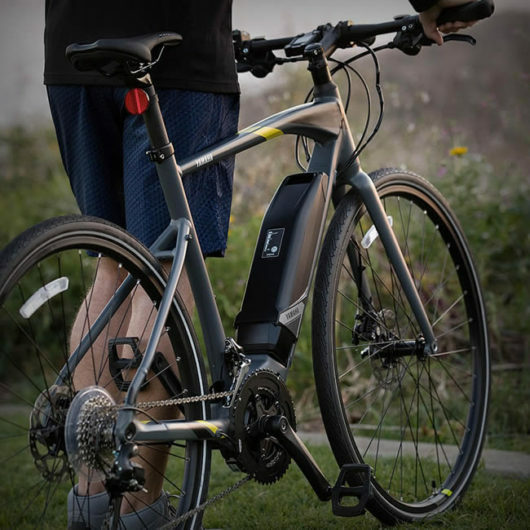 The main LCD interface allows you to integrate with your electric bike. Speedometer, average speed, maximum speed, odometer, trip meter, battery capacity, battery range, cadence, clock and stopwatch are instantly available to view. 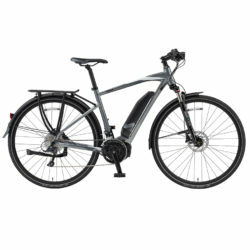 Yamaha added a USB power port and Bluetooth® connectivity to complete this highly advanced electric bike. LED Headlight built-in to guide the way. 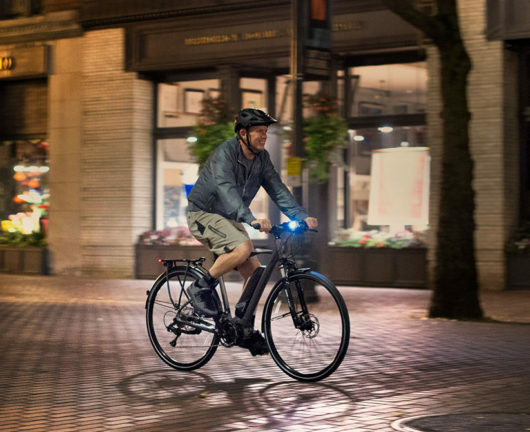 The Yamaha CrossCore electric bike is equipped with a powerful LED headlight to help guide the way and help you be seen on the road. The integrated headlight’s on/off button is built into CrossCore’s multi-function display housing for easy access while riding. 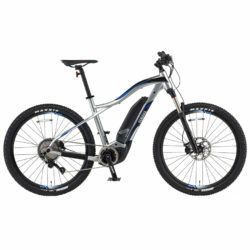 Yamaha’s extensive research and development led to the first prototype modern electric bicycle way back in the 1980’s. Read more about the History of the Yamaha Electric Bike. Since the early beginnings of electric bikes, Yamaha has been constantly innovating to deliver electric bike power assist systems that over-perform in real-world situations. Yamaha is years ahead of the competition mostly because they had a 30-year head-start. CST Sensamo Sumo 700 x 35c with Level-5 flat-protection and reflective sidewalls. These tires are highly recommended for electric bike use.